Our 12 year journey of being a voice for all of God's creations who only have a bark or meow! 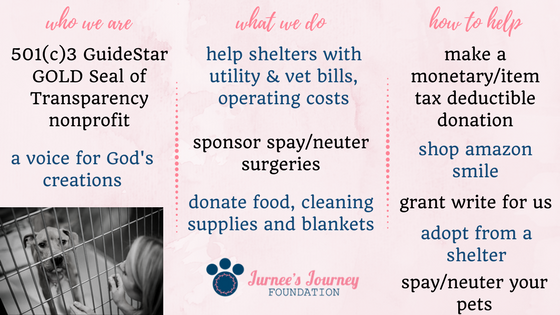 Founded in 2007 by Jurnee Carr, the Jurnee's Journey Foundation is a 501c3 non-profit that provides support to animal rescue and advocacy groups locally, nationally, and internationally. 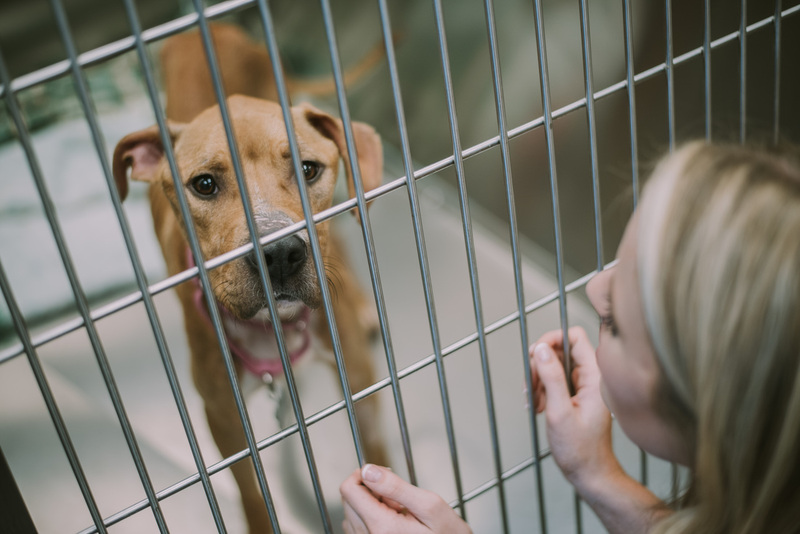 We believe that adoption is the best option because all animals deserve a loving, forever home. We also sponsor spay/neuter surgeries. Please spay or neuter your pets to help reduce pet homelessness. Ride to RESCUE 2019 INFO HERE!